Home Government What is Episode Care and What Impact Might it have on Patient Care and on Small Physician Practices? What is Episode Care and What Impact Might it have on Patient Care and on Small Physician Practices? The rollout of Obamacare in October has caused the focus to shift toward healthcare alternatives, the kind that haven’t been seriously considered in the past. But now that the new plan looks as if it will be at least as expensive – and considerably more complicated – than the system it supposedly reformed, everything seems to be on the table. One of those alternatives is episode care. Episode care goes under various names (bundled care being perhaps the most common) and has actually been around for a long time. Experiments with the method started back in the 1980s, but it hasn’t made it past the experimental stage in three decades. Can it help with healthcare today? 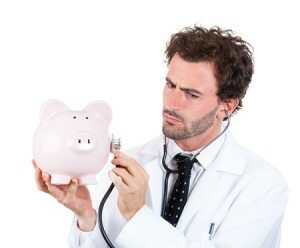 Episode care is reimbursement of healthcare providers (doctors, clinics, labs, hospitals, etc.) on the basis of expected costs for clinically defined episodes of care. It’s something like flat fee payments made to providers for a given medical episode with a patient. The provider accepts the fee, regardless of how many times the patient is seen or treated. Episode care has been described as a middle ground between the traditional fee-for-service system we have now, and a flat fee reimbursement where the provider is paid a single fee for the full treatment of the patient. It can also work under a bundled care arrangement, where a group of providers is paid a single fee (distributed among the providers within the care group) to treat a patient for a specific disease or ailment. In this way, the providers are paid for the outcome of the treatment, and not on the number of treatments they provide. For this reason, it is sometimes referred to as outcome-based care. Episode care would incentivize a favorable treatment outcome, rather than an ongoing succession of treatments and therapies. The provider, or group of providers, would be paid for the quality of the outcome, rather than on the quantity of service. Not only does this have the potential to save consumers money, but it may also reduce the number of doctor visits and therapy sessions, all of which cause stress and disrupt the flow of life. Since payment is based on the outcome – or at least on the very specific treatment regimen – providers and be less likely to recommend or schedule unnecessary or marginally necessary procedures. Providers will be encouraged to work towards the most immediately effective treatments, rather than going through a series of procedures primarily for defensive purposes (ie, avoiding litigation). On a national level, the financial savings that will result from episode care won’t be all that dramatic. 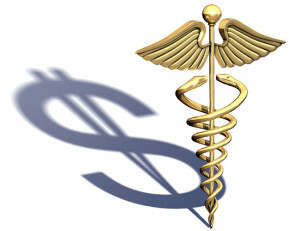 Is is estimated that it will result in a savings of between 5% and 6% of healthcare through 2019. Still, with national healthcare expenditures in the $3 trillion range, 5% represents a savings of $150 billion. One of the biggest advantages to patients is billing transparency. Today, treatment for a single serious illness can result in dozens of bills with hundreds of line items for procedures not easily understood by consumers. Since episode care would involve a single payment for all services provided, consumers would have an easier time evaluating actual costs, as well as avoiding the blizzard of bills that accompany nearly any medical procedure. It would also be easier for consumers to know in advance a realistic estimate of what charges will be in order to cover a single medical episode. No such estimates are readily available under current practices. Though episode care has some obvious advantages for patients, is is not without its faults. Since episode care has only been employed on an experimental basis up to this point, there’s no reliable way to estimate how much money it will save the industry or consumers, or if it will even save any money at all. Perhaps the biggest disadvantage is the potential that providers will seek to avoid providing care to people requiring the most complicated and aggressive treatment. Since reimbursement from insurance companies will be limited to a single lump sum payment – that will often be divided among various providers within a group – providers might avoid taking on patients with real potential to exceed that reimbursement. At the same time, providers might prioritize low-level cases that are likely to require the most minimal levels of care for the greatest reimbursement. There could even be friction within a provider group as to who provides what service, and what their share of the bundle payment will be as a result. And infighting could lead to complications that cannot be easily understood at this time. There’s also the fact that not all diseases and patients will fit neatly within the confines of a proscribed episode. Some patients, with certain diseases, experience complications that will transcend the reimbursed treatment. Unless protocols are established to accommodate this, the possibility exists that either the complications will go untreated, or the bundle will fall apart and resort to the type of traditional therapies that are common now. From a financial standpoint, some patients could experience catastrophic levels of both complications and treatments that could force a provider or group of providers into a position of significant monetary loss. The greatest impact of episode care could actually be on small physician practices. Since most major medical episodes involve cooperation and coordination between multiple specialists, an individual physician will have to be part of one or several groups in order to maintain an active practice. As a small physician practice participating in a larger group, the physician could be caught in a position of working for reduced fees. The group may seek financial economy wherever it can, and the smaller participants in a group will be the most likely targets. 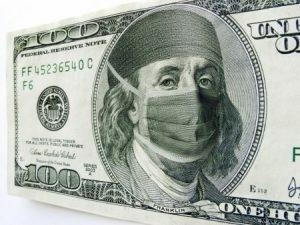 Still another fundamental problem for small physician practices is that while fee reimbursement from insurance companies will be fixed, the cost of providing care won’t be. The physician will be accepting a flat fee in exchange for treatment that may exceed the expected compensation provided by the fee. Also, since episode care will effectively establish a chain of providers, and individual physicians responsibilities could increase significantly if providers farther up the chain are either unable or unwilling to meet their full obligations within the plan. On the positive side, participation within the groups could also be a revenue enhancer. A physician would have an active practice simply as a result of being a member of one or more episode care groups. In a well organized group, with clearly defined responsibilities and limitations, an individual physician might also find it easier to specialize in a relatively small number of functions. Will episode care work? Perhaps a better question is, will it ever get out of the starting gate? It’s been an ongoing experiment now for some three decades. But perhaps it’s time is fast approaching with the rollout of healthcare reform – we’ll have to see. Can you see episode care, or a system like it, representing any kind of a benefit over the type of care that we receive now?